Los Reyes originally started as a duo featuring George and Joe Veizaga on guitar and percussion. Experimenting with Spanish Rock for several years the brothers found their niche they were searching for, Rumba Flamenco! The two brothers performed together spot lighting their vocal talents they have gained from their mother who sang soprano in church choir from her home country of Bolivia. Along with many talented local musician friends accompanying them through the years they launched this style of music and helped to share their name all over California. 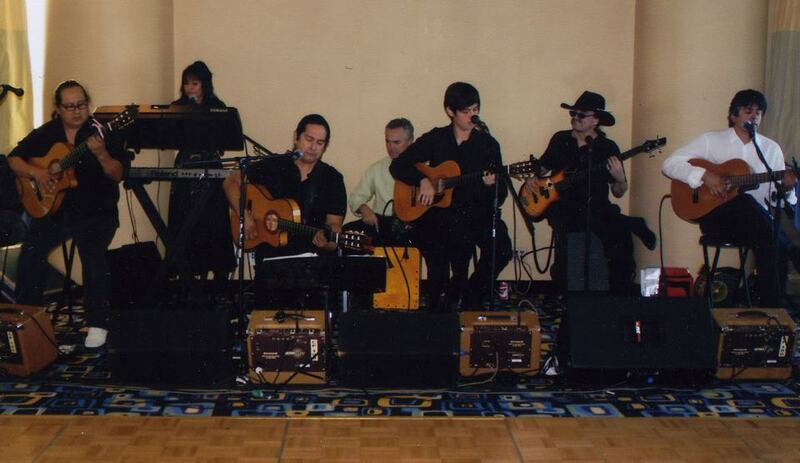 Los Reyes have performed for the past 15+ years in many concert halls, resorts, night clubs, restaurants and private functions. Los Reyes Del Ritmo has a great new line up featuring not only their vocals but a 4 guitar sound and are ready to perform their style of Rumba Flamenco at your next event. If you love the Gipsy Kings you’ll love Los Reyes Del Ritmo.